Formulated to meet the health, safety and performance expectations of today's housekeeping personnel, Fast & Easy cleans fast and dries quickly without streaks. Fast & Easy cuts through grease, soot, and other hard to remove soils by simply spraying and wiping dry. 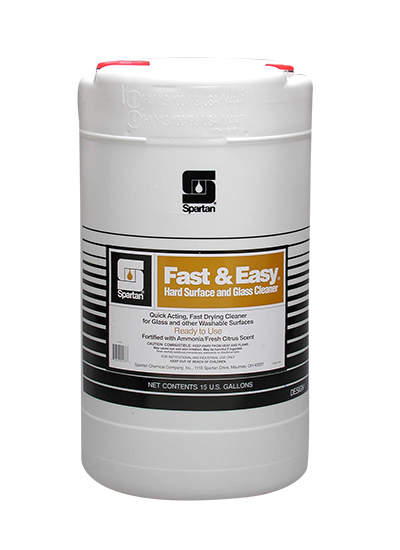 Fast & Easy has been designed to clean windows, mirrors, display cases, crystal and hard surfaces, such as formica counter tops, and table tops.